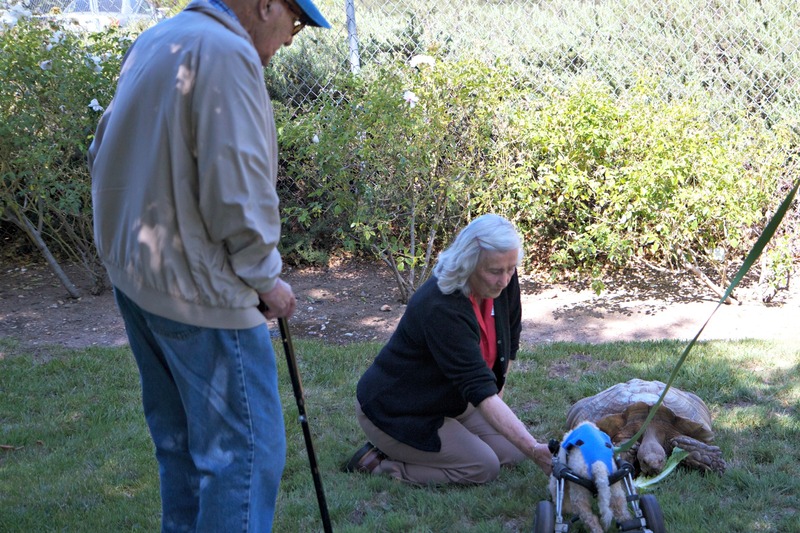 Healing HEART Sanctuary had the honor taking many of our special needs therapy animals to the Solvang Friendship House in the Santa Ynez Valley. 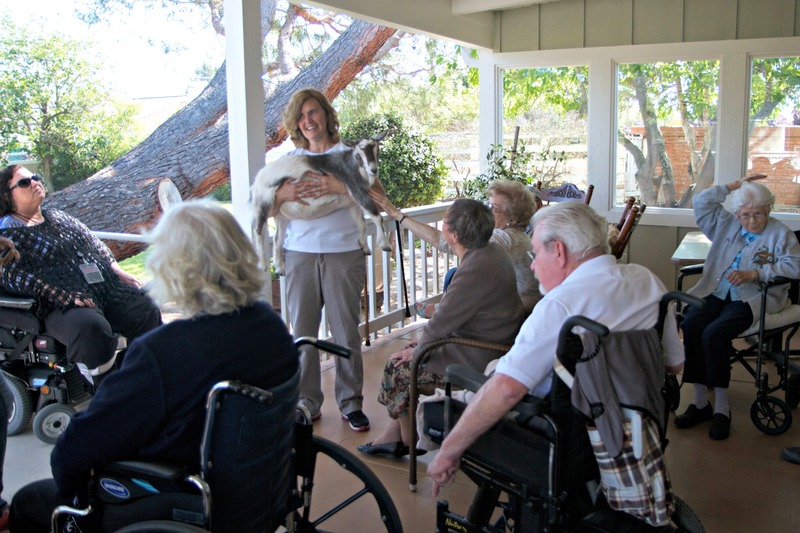 Solvang Friendship House is a home-like setting for the elderly dealing with Alzheimer’s, Dementia or just frailty; and are not yet needing a nursing home setting. The residents and staff were so friendly and happy; and the animals really had a good time. Falcon, HHS‘s therapy goat, was probably the biggest hit. Bitty, our 110 lb African Sulcata, made quite the stir as well, though he wanted to eat all their flowering plants! HHS also had Jenny & Gracie (turtles), Rugby & Blue (ducks) as well as our Coli and Solomon (our little white cart dogs) there.